Editor’s note: The following profile was written by Harper Creek Middle School student Gabbi Calhoun as part of Kellogg Community College’s Journalism and News Writing Camp, running July 23 through 26 on the College’s North Avenue campus in Battle Creek. 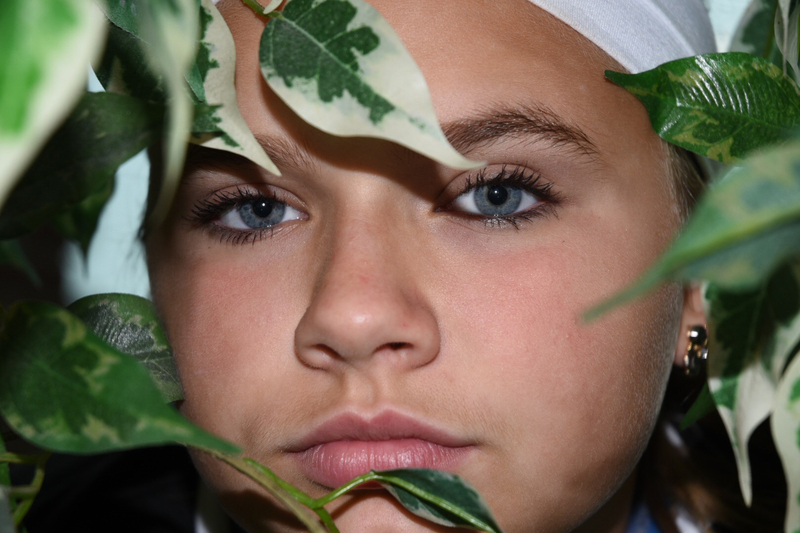 Calhoun also shot the above portrait of her profile subject Nataleigh Peterson during the camp. Nataleigh Peterson, 13, relies on her abilities of sleeping, watching Netflix and playing Fortnite to get her through life, but when she needs to put the work in to achieve her dream profession, can she do it? brother Thomas, 10. Peterson also has two dogs, Daisy and Lily. Peterson is an eighth-grader at Pennfield Middle School and enjoys science class the most out of all her classes. After high school Peterson desires to attend the University of Florida and earn a pediatric dentistry degree. She decided on the University of Florida because of the school’s dentistry program. “I always knew I wanted to be some sort of dentist,” Peterson said.